Today we’d like to introduce you to Rhonda Kallman. Thanks for sharing your story with us Rhonda. So, let’s start at the beginning and we can move on from there. 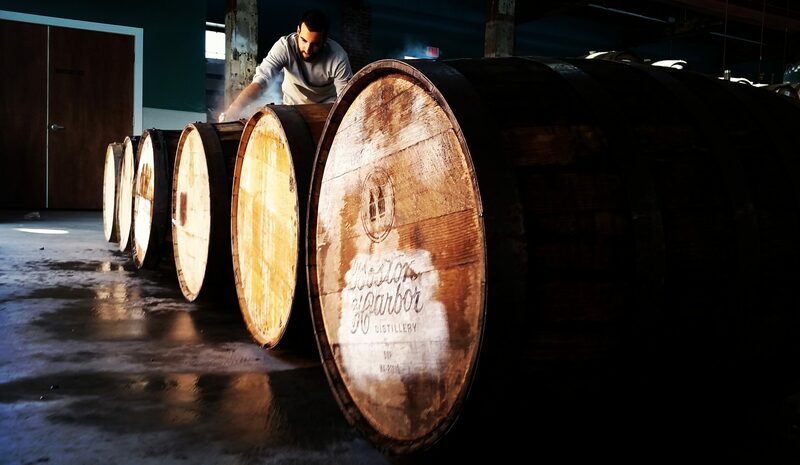 Boston Harbor Distillery pulls inspiration from New England’s bounty of seasonal tastes to distill and bottle their own blended creations that are branded with the names of early Massachusetts entrepreneurs who once occupied the same site: SS Putnam Nail Factory, George Lawley & Son Shipbuilders and the confectionary line inspired by Seymour’s Ice Cream, the last notable entrepreneur to have commerce there. The company’s flagship brand, Putnam New England Single Malt Whiskey, is a whiskey that boasts a grain bill of 100% malted barley and the distiller’s skill of capturing only the flavorful heart of the spirit. Aged in 53-gallon new American oak barrels, Master Distiller, John Couchot, describes the flavor profile as, “rich with a milk chocolate finish.” Other Putnam Whiskey varieties include Putnam New England Rye and soon-be-released Putnam 12-Year Old Bourbon. These world-class whiskies have a signature smoothness and character not found in other whiskey varieties. 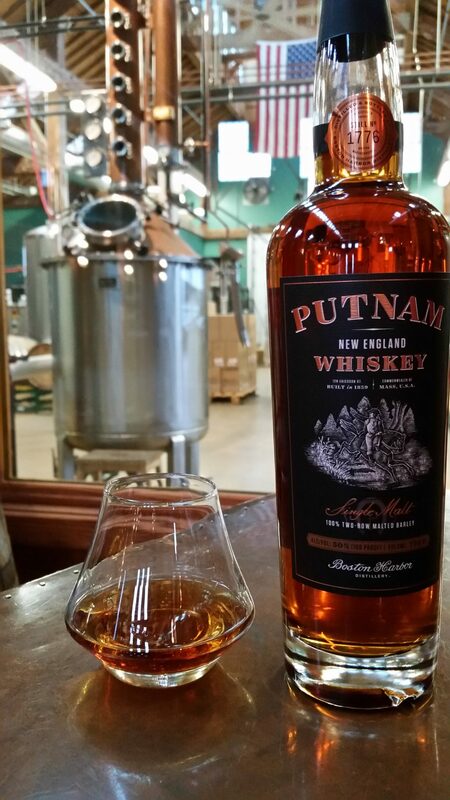 Part of the magic comes from our water source, the Quabbin Reservoir, giving Putnam Whiskey a uniquely Boston accent. Prices range from $40 – $80 per 750 ml bottle. Lawley’s Small Batch Rum is distilled from 100% fermented molasses and Quabbin Reservoir water making it 100% New England style. This new coastal standard is Boston Harbor Distillery’s rum entry and is offered in both white and dark varieties, priced at $30 per 750 ml bottle. Boston Harbor Coffee Liqueur is perhaps the sweetest tribute to the local bounty, made with rye spirit that balances robust, locally-roasted coffee with Vermont maple syrup, priced at $30 per 750ml bottle. Boston Harbor Maple Cream Liqueur is a decadent and delicious blend made with fresh Wisconsin cream, rum and our signature sweetener, Ackerman Farms Maple Syrup, priced at $30 per 750ml bottle. Finally, BHD has created award-winning distilled varieties of Samuel Adams beer sourced directly from the Boston Beer Company. Our Master Distiller has skillfully captured the essence of each brew in our Vendome copper-pot still, resulting in a unique variety showcasing malt, hops, and spices used in select Sam Adams beer. 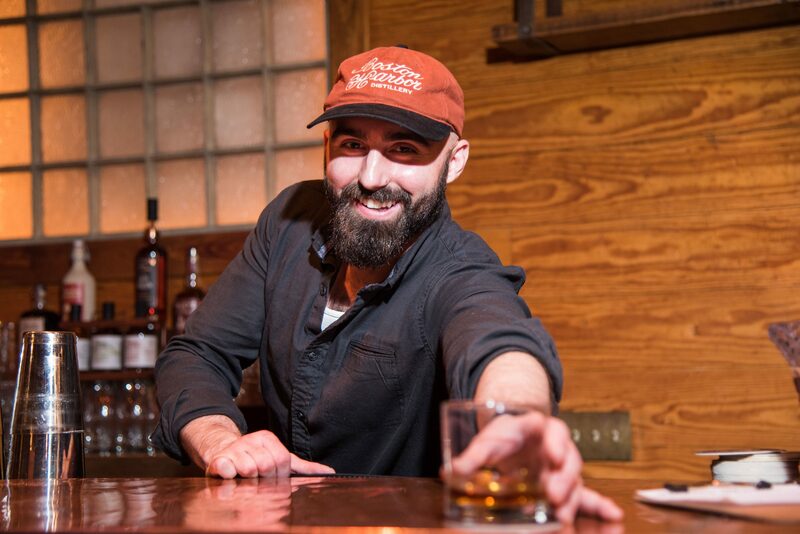 Inspired by the treasured connection between Boston Harbor Distillery and Boston Beer Company, it’s a true Bostonian handshake. 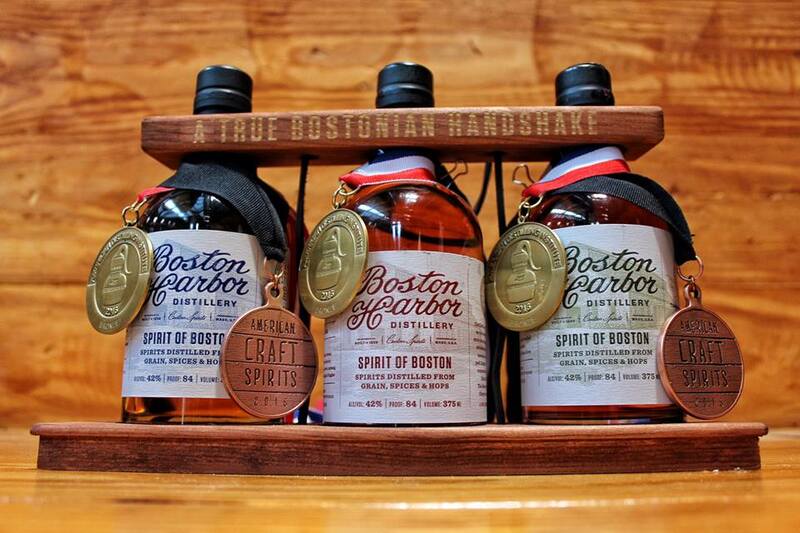 Look for these limited-edition releases under the brand name Spirit of Boston, priced at $40 per 375 ml bottle. Startups almost never have a smooth road and this one is no different. As alcohol is highly regulated, we first must navigate through federal, state, city and even local governments, which is always a challenge. 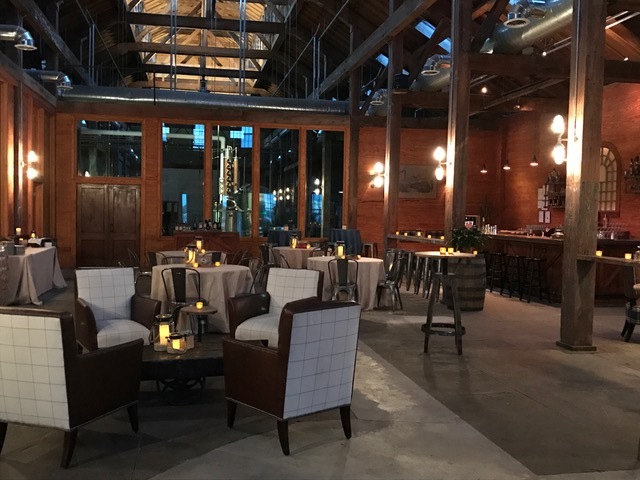 It took nearly three years from concept to opening the distillery, due to many factors, though primarily the need for capital. Since opening, sales and interest have been growing steadily. However, the whiskey business is not for the faint of heart, as all raw materials must be pre-paid and purchased way in advance of recognizing any revenues. As a result, we’ve put most of our financial resources into the barrels, delaying needed cash flow to invest in people and marketing. The route to market is also challenging as there is a 3-tier system to navigate before our products can even appear on the shelves. Therefore, there is more B to B marketing that needs to happen before we can even think about the customer. Alright – so let’s talk business. 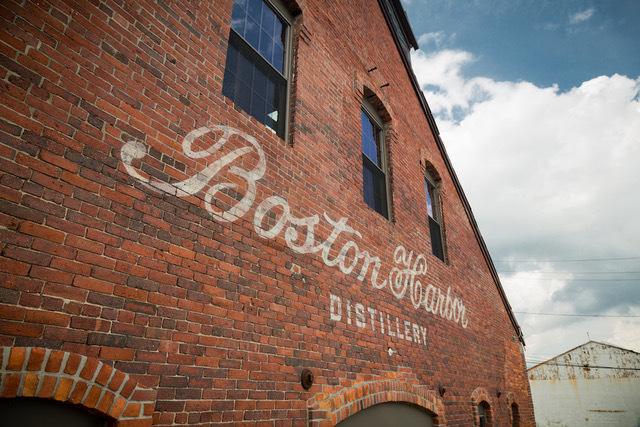 Tell us about Boston Harbor Distillery – what should we know? Boston Harbor Distillery specializes in locally crafted, small-batch spirits, with a particular focus on Whiskey. Our newest release of Putnam New England Single Malt Whiskey is a great example of the quality, passion and craftsmanship that goes into every bottle we produce. I’m most proud of the small, yet committed team of professionals that make it all happen. Our historic building and location on Boston’s southernmost waterfront is truly one-of-a-kind. It’s been recently selected by a reader’s poll as Boston’s best reception venue. Of course, it is the home where we produce BHD spirits as well. BHD spirits are a nod to the entrepreneurs of yesteryear that occupied the same site. 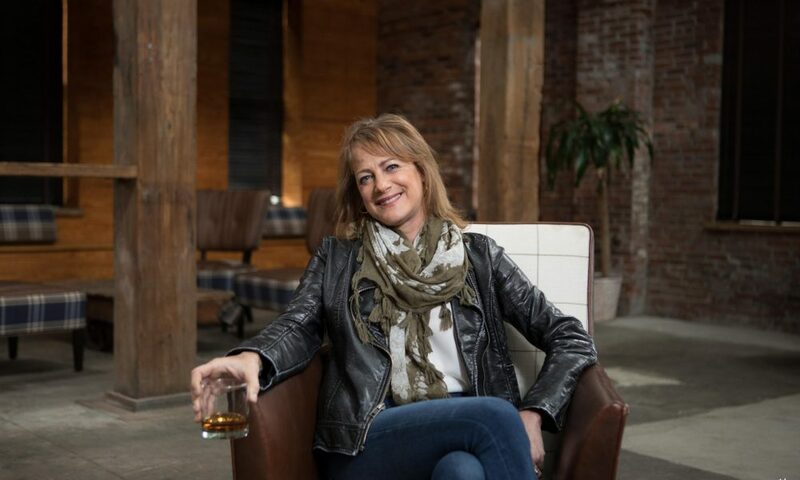 This wouldn’t have happened without the support and expertise of my husband, Matt Shanley, who built the interior of the distillery, Dr. James Swan (RIP) who was my first hire and a world-renown expert on whiskey maturation, investors & banks, and the rest of the team making it happen daily — John Couchot and Marco Forziati, Distillers, Tom Pritchard, COO, Laura Christopher, Director of Events, Lucas Shultz, Sales, Katie Williams & Evan Newby, bartenders and all the part-time support that execute tours, in-market events and keep the place moving forward. Of course, none of this would matter without the undying support of our distributors and consumers who seek out our brands and spread the good word! Just like our spirits, our team is 100% heart and 0% compromise.